In the hearth of the city, with you at the center. 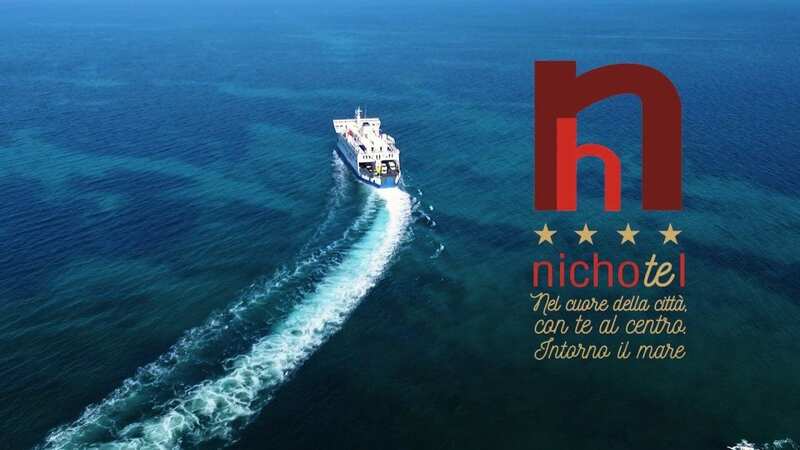 Even before you set foot on the island, you can spot Nichotel’s sign from the sea! You can find us a few meters from the harbor, at the heart of the town center. 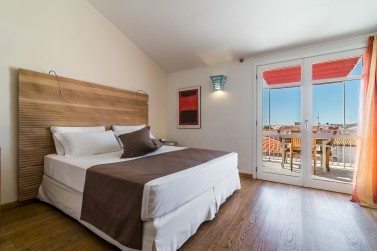 Our rooms feature a clean, fresh and elegant style. They come equipped with the most modern comforts: WIFI, LED TV, air conditioning and comfortable beds. Getting to the major places of interest or just getting into the characteristic “carruggi” will be extremely convenient for you! Find out now. Il Nichotel è un piccolo albergo a 4 stelle, la cui completa ristrutturazione è stata ultimata nell’agosto 2007. Il suo design assicura la giusta armonia tra la semplicità degli arredi e la personalità dell’edifi cio. 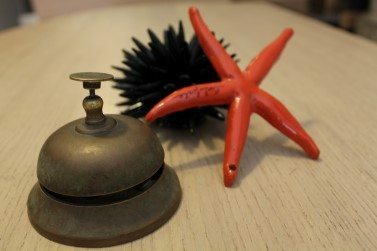 We take good care of our guests even before they check in! The restaurant is located in the main town square. 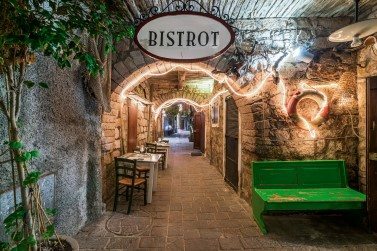 It is one of the most famous restaurants on the island. Tuna recipes are its signature dish. 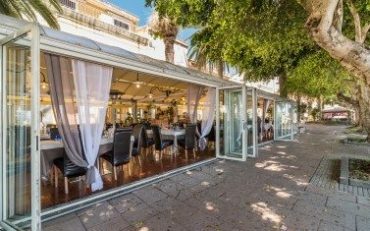 Pomata Bistrot, is also owned by the Pomata family who run Nichotel and Nicolo’s, offers its guests a varied menu – courses range from pizza to grilled steaks and homemade pasta. 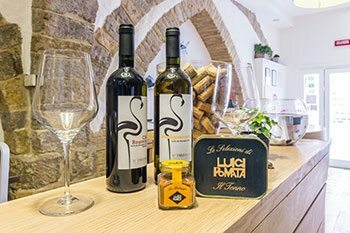 Our guests can shop for traditional, high-quality food and wine delicacies at the Mini Shop Gourmet located inside the hotel. This is your best choice in the wonderful island. The owners are an old local family in tune with tradition and the best hosts in town. Within a few minutes walk you have a choice of Cafés and restaurants of all kinds. Of course you should try da Nicolo for the best local recipes in a Michelin star level kitchen. But just across the hotel enteance you also have o'scugnizzo where you should try thr 'calzine fritto': despite it's a fried pizza it's actually lighter than a pizza. Probably the best I have had outside of Naples. Perfectly located, very charming place, the staff is really friendly! Recommend this place! In April the rooms are not expensive, hope it is not too much during summer time. 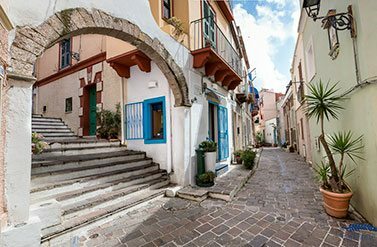 Carloforte is a perfect place to have a spring brake. The beaches on the southern coast are sandy. 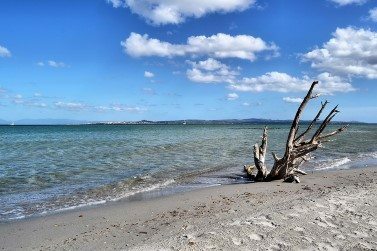 All the beaches, despite being close to each other, are unique for layout, scents, water temperature, and for the natural landscape of the coastline where they are located. 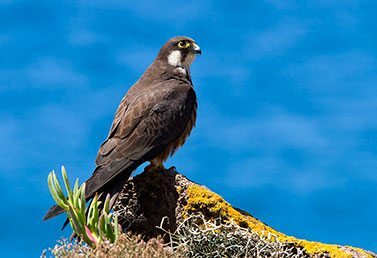 On the Western coast, the protected species of Eleonora’s Falcon can be admired when he migrates from Madagascar to Saint Peter’s island to build his nest. 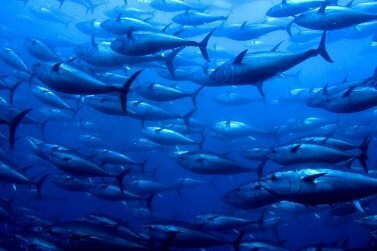 The Tonnara is the set of specially shaped trap nets that are used for tuna fishing; with the same name we specify in Italy, by extension, the place where it is used in practice.